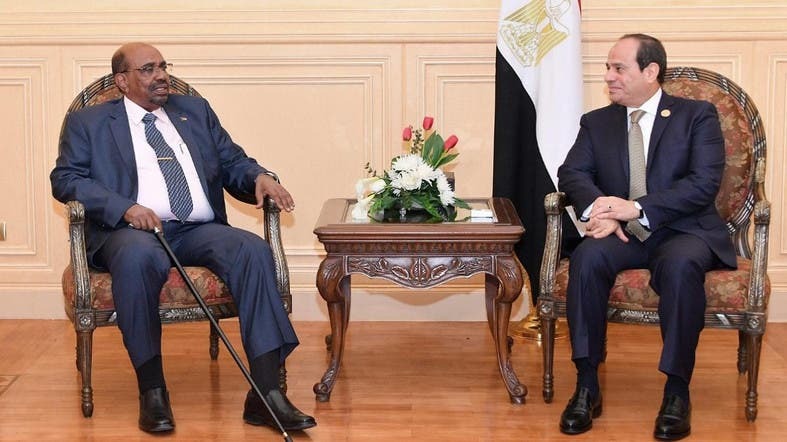 Sudanese President Omar al-Bashir will travel to Cairo for talks with his Egyptian counterpart, state media reported Saturday, as protesters called for more nationwide demonstrations against his government. Bashir’s visit to Cairo on Sunday will be his second trip abroad since deadly protests erupted at home on December 19. On Wednesday, he met Qatar’s ruler Sheikh Tamim bin Hamad Al-Thani on a trip to the Gulf state. “President Omar al-Bashir will travel to Cairo on Sunday for a one day visit,” Sudan’s official news agency SUNA reported. Bashir’s visit was also confirmed by Sudan’s Ambassdor to Cairo, Mahmoud Abdel Halim. Protests erupted in Sudan last month after a government decision to triple the price of bread. The rallies swiftly mushroomed into nationwide calls for an end to Bashir’s three decades in power, as protesters clashed with security forces. The Sudanese group that is leading the protest campaign has called for more rallies over the next few days, including night-time demonstrations on Saturday.